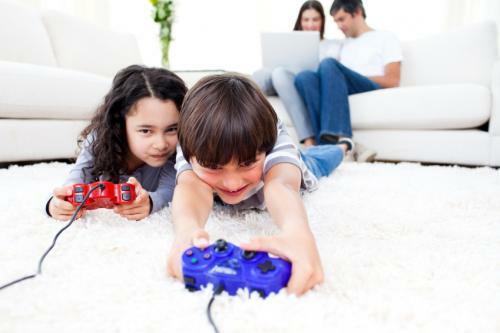 Video games are often used in excess, which may result in parent-child conflict. Parental concerns are not without merits. In fact, the American Academy of Pediatrics has produced guidelines on screen and media usage, along with negative associations on development. Alternatively, some studies have shown positive associations with video game use. Arguing about the merits of video game use, however, places the focus on the video game itself rather than the important teachable moments that are made available. It is important to recognize that discussions around video game use are important opportunities to have your child work with you and learn valuable life skills. We need to take a step back to recognize what we are trying to teach our children around video game use. In some way, we can think of video games as products that children consume, not too dissimilar with food, other media types such as T.V. and movies, and other tangible goods. Excessive use or consumption could lead to negative consequences. Learning how to limit our use, despite how good that piece of candy tastes or how entertaining a T.V. show could be, is an important skill to learn. Although there are temperamental differences in children’s capacity to self-regulate, it is important for parents to impose limits and discuss reasons for doing so. Imposing limits to learn control, however, has to shift from external (i.e., parent-imposed) to more internal control in order to foster later autonomy in a responsible manner. Changing our perceptions about video games from being the point of conflict to that of a learning tool could help shift our approach to teaching children how to manage their consumption and learn better regulation skills. This could be accomplished by moving beyond solely using games as a reward or punishment object. Begin by having a dialogue with your children about what you are trying to accomplish and how they can be a part of this, while using video games as an arena to test these skills. Second, have a discussion about your expectations around limits, along with resulting positive and negative consequences about exceeding those limits. Third, highlight the importance of paying attention, not just to their games but to their external surroundings as well. Discuss how they could practice moving in and out of awareness between their games and their surroundings, as well as how to be aware of the passing of time. Finally, have an evaluation period to try out the imposed limits and how your children regulate themselves. If the agreed-upon limits are exceeded, explain why you are limiting additional use, for how long, how their choice played a part in the negative consequence, and how they can try again with possibly more oversight or more limited use. Boot, W. R., Kramer, A. F., Simons, D. J., Fabiani, M., & Gratton, G. (2008). The effects of video game playing on attention, memory, and executive control. Acta Psychologica, 129, 387-398. Carlson, S., Fulton, J., Lee, S., Foley, J., Heitzler, C., & Huhman, M. (2010). Influence of limit-setting and participation in physical activity on youth screen time. Pediatrics, 126, 89-96.